This little post here is a burger appreciation post. Whenever I have a burger (good or bad) I want to share my experience with the whole world. Going out for burgers is a serious thing and a bad burger can just ruin the mood so without further ado lets dive into the first juicy place. So in the northern suburbs of Melbourne where I’m from, Demazzi is quite well known within the people of my age group. It’s a place in Essendon that is known for its burgers and shakes. These burgers aren’t for the faint hearted. They are big, juicy and the sauce drips down your fingers. Everything you want in a good burger right? 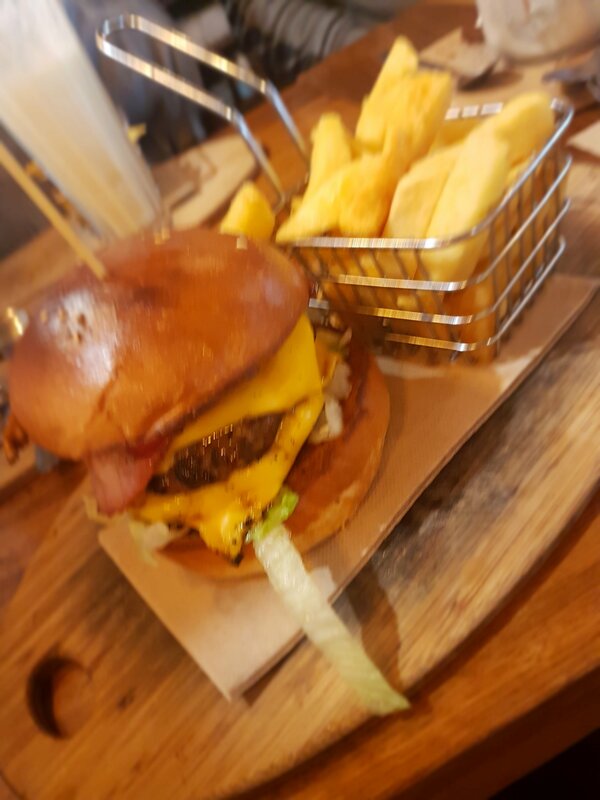 My family and I decided to head there for dinner one Friday night, my mum got a chicken parma and the rest of us ordered the Lucky Mac burger. As much as i love a good Parma (I’m always on the hunt for a good parma, I order one every time I go to the pub) I won’t comment on that one today as this most is purely burger related. Okay down to the burger. Let me break down the Lucky Mac for you. Is your mouth watering yet, because it should be. 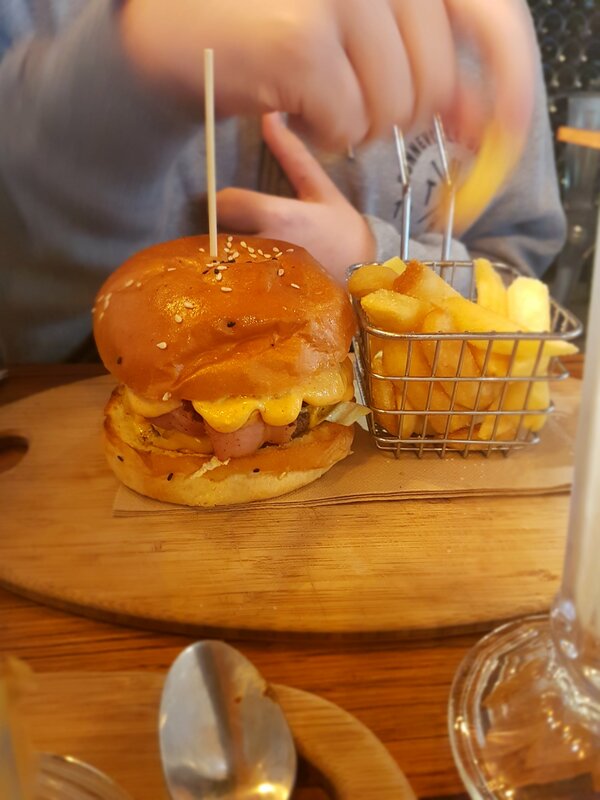 The burger comes out on a wooden board with a small basket of fries on the side. The fries are thick cut with a delicious seasoning. Don’t pig out too much on the fries as its potato they’re quick filling, save all the room in your belly.